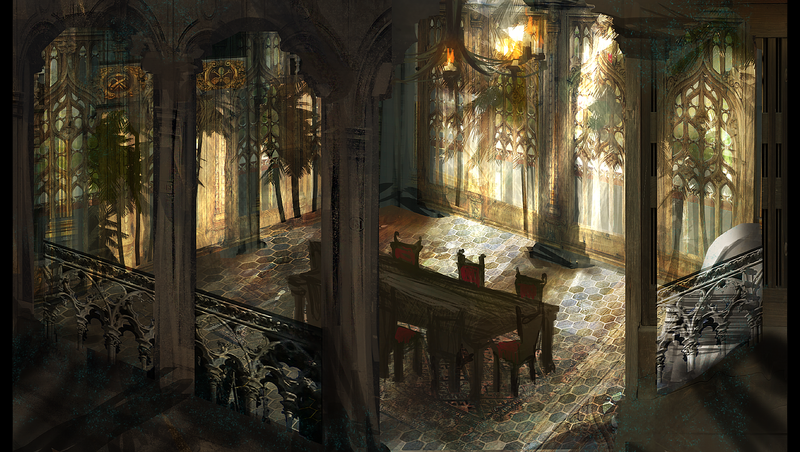 Royal Courts of Elyr, Cabinet Meeting Room, Province of Yespium, City of Pyrewood. Gathered around a large wooden table was a small group of people engaged in discussion; the Queen, fiery Orlette, and half a dozen ministers dressed in posh suits; laid in front of each was differing amounts of paperwork. Eyes from all around the table were focused on the Queen as she spoke. "Acrad has formally announced it's discovery of a relationship between the group calling themselves 'Desert Rats', most known for their skirmishes and raids along the Acradian-Hasturian border, and the Warlords that occupy the northern regions. They believe, beyond all reasonable doubts that these Warlords are funding the campaign of the 'Rats' in exchange for shares of the stolen goods, and even the potential for these goods to be unknowingly exported and consumed upon the foreign market. It is has been proposed by the Parliament of the People that temporary trading sanctions be levied against the nation of Hastur until such a time that these allegations can be either proven or disproven; but until such a time that this can be ascertained a ban on all goods imported both directly and indirectly from Hastur be enforced. Those who have an arguement against, please state that now" she finished, returning to her seat and glancing around the room, filled by a majority of portly, balding officials who looked as if they'd never done a proper job in their lives. "The imports from Hastur help support those on lower incomes" chimed in Hagen, Minister for International Trade, followed by several affirmative nods from others. "And we are barely keeping our heads above water with the current supplies, if they were to stop... I can only imagine the public outcry" continued the Home Secretary, about to further his point when he was interrupted by Orlette, scowling hard. "Uh, no. But it is more a matter of whether they're going to starve to death, or do a deal with the devil to see today through. If I may ask, which exactly would you choose, Miss?" "The right thing" she replied coldly. Ignoring the girls comment, the ministers continued their discussion for a few more minutes, decising to holding out on an official decision until more was known about the international affair at hand. Adjourning until such a requirement had been met, each packed up their stuff and departed. The room was dark, kept alight by a dim wall lamp above a wooden desk laden with paper and a small number of candles covering the surfaces. In the corner stood a small gramophone on a sidetable, and to the right of that a bookcase overflowing with books of all different hues. Reds and oranges as the sun set peaked through the large window which dominated one of the walls, giving everything inside a soft warm glow. With her back to the room sat Orlette at her desk, hiding her face from the Queen who was patiently sat behind her, listening to the girl. "They did nothing?" Exclaimed the fiery girl, anger seeming to seep from every pore of her body. "They had every piece of evidence before them, and they do nothing?" She asked again, face flush, disapproval lining her face. She raised her head slightly at the woman sat in the chair opposite, "am I wrong in feeling like this?" The woman sighed, her expression saying that this was, by far, not the first time a situation like this has arisen . "No, Orlette, they didn't do anything" the Queen calmly affirmed. "There was nothing to do. Elyr is reliant on Hastur currently for much of it's import of food. We stop trading with them over a suspected, and officially that's all it is, act of aggression, more people will starve than are currently. This isn't just about how we feel, you need to consider how it will effect those around us too" she reminded the younger girl. "Here, cheer up"
Orlette glanced up and saw the lady kindly holding out a cup for Orlette to take, she hadn't even noticed the woman make it. "Drink" she gently urged "it'll help you relax". Orlette took a tentative look at the cup "tea?" She asked, unsure to what the liquid actually was. "Tea" Bree nodded, taking a few steps towards the door. "Tea is what I used to help me get over stuff like this, still do in fact" she added, a smile directed towards her húsceorl go help reassure her. "And sleep. You've been awake for hours, first collecting reports on this, then collating them, and finally presenting them to the parliament." The girl opened her mouth to argue, but a strong glare from the Queen closed it again. "Seriously. Rest up, I agree with you. I'll see if there is anything I can do, ok?" The girl nodded as the woman quietly left the room. She moved over to her desk, moved a small mountain of paperwork to find something specific and began reading through it slowly. Back in her own room, the Queen pulled out a small ledger from a tables draw and blew a thin layer of dust which had come to settle atop. Sitting down and making herself comfortable she gradually began flicking through and drawing a finger down each page until it came to a rest. 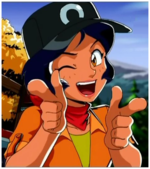 The name of contact of hers from Coral City: Ambassador Laquarian. Knowing him eager to establish trade relations between Elyr and Southern Verdasou, he seemed like the best person to contact. Sitting down with a piece of paper, she began to pen out a piece to be delivered in the morning. I hope this finds you well. In light of recent events farther north, Elyr may be in need of a reliable import of supplies such as food should things turn sour northward. Do you know of anyone in the Coral City that may be able to meet our needs should the time arise, or if not there than farther afield? If you could find out what you can, and get back to me soon it would be greatly appreciated. Lady Bree the Second of Elyr. Royal Court of Elyr, City of Pyrewood, Province of Yespium, Elyr. The Elyrian Royal Court. One of Elyr's most beautiful buildings, both inside and out. Home of the Monarchy for over 600 years. 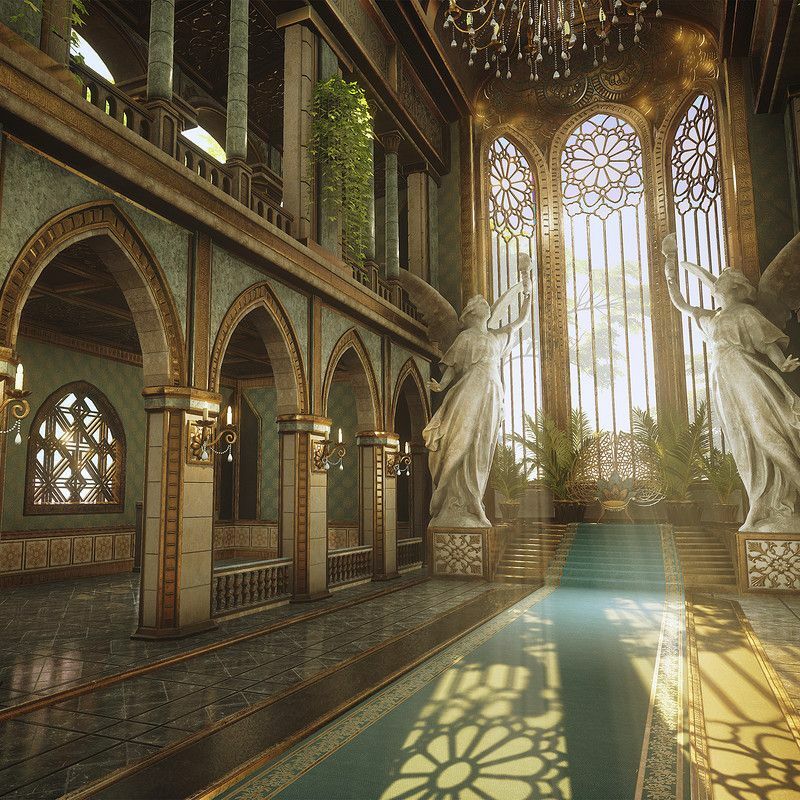 A stunning piece of architecture, decorated with green marble pillars, ornate statues and plants. A small crowd of noble looking people stand dotted around the room, tittering away in their own distinct groups. The Queen, smothered in her emerald green ensemble, was perched at the very edge of her throne, engaged deeply in conversation with a woman sat to her left; Orlette, her húsceorl. A much younger woman than the queen, with firey hair and a matching temper. Much in contrast to most of the court, Orlette wore dark cloths, hues of grey and blue; symbols of the Academy. Like the Queen, she held a cup of fine porcelain, filled to the brim with the finest of Rorik's latest tea harvest. "This morning we recieved news of Acrad, first from our network, but then further reinforced by official communications from the office of the General Commander" continued Orlette, somewhat flippantly. Taking another sip of tea she continued. "Acrad have finally discovered the source of the 'Desert Rat' problem. As we'd suspect; Hastur. Funding the raider's campaign and buying the spoils.. Nothing that we import for the public sector I hasten to add, I checked that out for myself when the reports first caught my attention a few weeks ago" she added, provoking a small sigh of relief from the Queen. "And Acrad?" Questioned Bree, anxious as to what response the, admittedly, militant state might take. "Is there any news on their actions?" "It looks like there is a high chance their gearing up for war. I'm assuming this is why you didn't release this information to them in the first place? Knowing there was potential to be dragged into conflict?" A solemn nod came from the Queen, followed by scowl. "I think we need to call the Parliament together. Now that it has officially been released they deserve to know, and they need decide whether Hastur deserves any sanctions from Elyr" she finished, downing the last drips of tea and reaching for her notepad. Hastily writing down a messege to be sent to the Ministers, handing it off to Orlette to deliver to her communications officer. It read simply: "Emergency Meeting to be called. Potential hostilities to the north. All available at such short notice assemble at 3 o'clock." Ravenhold Maximum Security Prison, West Coast, Province of Endrea, Elyr. Footsteps echod across the stone hallways, partially drowned out by the shrieks of other inmates and the running of water down halls and dark passages. 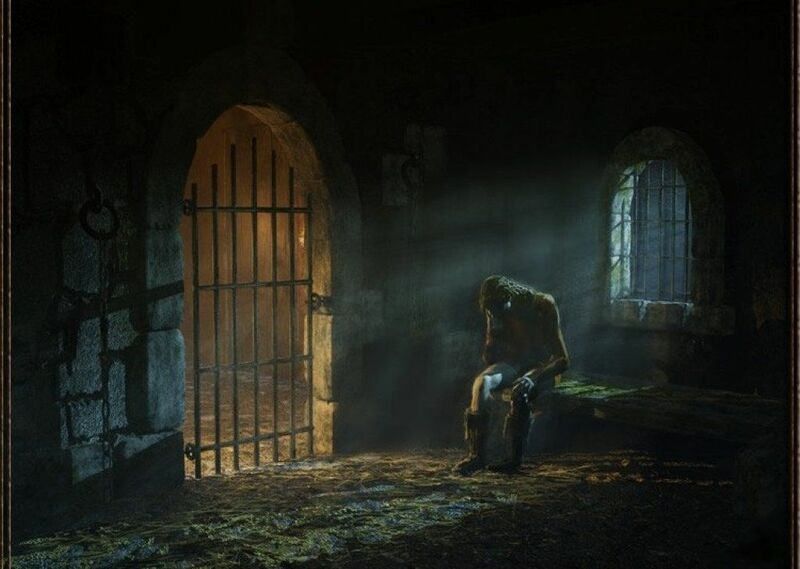 Alone in the cell was a young man, face hidden in the shadows and partially obscured by unkempt hair, sat hunched over the rotting wooden beam that was his bed; back bathed in pale moonlight emanating from the barred window. Dressed only in the simplest of cloth, he was in a state if silent contemplation. Apart from the bed, the rest of the room was adorned only with a bucket, and a carpeted floor of damp moss. "You know who he is, don't you? I mean, how could you not know? After what he did..." Whispered one of them, voice bearly audible over the raucous. Both pair of footsteps stopped suddenly, almost as if one was squaring up to the other. A deep breath could be heard, followed by a sigh. "I know who he is, I know what he has done, and to be quite frank I most likely know a lot more about him than you do. I don't want to be up here any more than you do. So if you have finished your complaints, may we continue, sir?" The second man spat at the guard, foot falls restarting for a few moments, before coming to a stop outside the door. Both figures peered in, their faces silhouetted by the flickering torch light behind them. "This one?" The second man asked, sounding unsure. "This one" the guard affirmed solumnly. Inserting his key into the seizing lock, with a grunt of effort and the screaming of stressed metal on metal, the bolt slid across. The guard looked in once more, before pulling away with disgust; opening the door just wide enough for the second man to walk through. As he stepped across the threshold he looked down at the floor, seeming to be looking for somewhere safe to stand. With a sigh of resignstion he gave in, and stood right in a patch of moss with an audible squelch. He seemed too well dressed to be visiting a place like this, a deep emerald cloak layered above an assortment of dark green clothing; in his left hand a case of some sort, the seal of Elyr just visible on its side. A consort of the Queen herself it appears. As he had suspected, the man possessed a limp, apparent with each step he took and a slight slouch in his posture. "You are Vipir, correct? Convicted 3 years ago of the attempted, and might I say the most successful, assassination of Queen Bree the Second of Elyr. Due to spend a life sentence, minimum of 30 years, in this miserable hole?" Each word sounding planned. Rehursed... formal. Vipir gave a quiet affirmation to each of the questions, apprehensive of where this was leading. Was this a royalist, come to execute him? He kept quiet however, eyeing up the case and looking for ways to escape should things turn sour. "In that case then, I have come with an offer. A choice if you will. And if you agree, than I am to officially pardon you, by the authority of the Parliament of the Peoples, much to my personal distaste I will have you know. Fail to accept this offer, or to carry out it's full terms, and I will personally ensure that you find somewhere even filthier than here to live out the entirety of your life"
Vipir's face lit up at the sound of freedom, and he began hanging onto every word the man said, slowly processing the information until he came to the only logical question to ask after such a preposition. "And what are the 'full terms' of this offer?" In the early years, the royal house ruled with absolute authority and could take possession of anything they wanted at a whim. After a revolution which led to the deposition of Thonjolf the First of Elyr, replaced with his rather young daughter Minette who was forced into signing "Carta iura Gentium" (Charter of Rights) which introduced a parliament and reduced the power of the Monarchy. The Monarchy calls the parliament to assembly every 2 months where they convene and discuss current affairs; laws, taxes, international relations, etc. Emergency parliaments can be called, and decisions made even without full attendance in times of crisis. While officially the parliament is elected into their positions, and the reigning Monarch should listen to the will of the people, they are permitted to veto a decision if they believe with absolute certainty it is not in the best interest of the Kingdom. Head(s) of Government: Bree the Second of Elyr. Viewed as a fair ruler by her people, she was the woman responsible for permitting refugees from other nations asylum when needed. To foreign delegates she is a kind and gracious host. Whilst appearing as a kind older lady (which she is in droves), she possesses a mean streak seen only by those who cross her. Her rule over the previous 40 years has had many ups and downs, but overall she is much more successful and has advanced her country so much more than many of her predecessors. 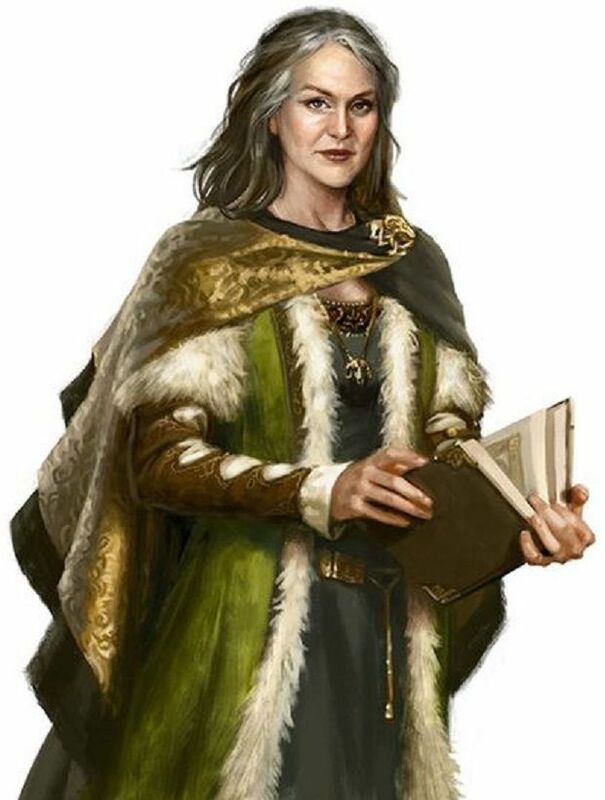 The main controversy surrounding her rule was her decision to elect a Magi as her húsceorl (personal bodyguard), leading some to believing her decisions forward of that event are being clouded or influenced by *something* of magical origin. Advanced ‘Machines of War’ (eg, advanced planes, armoured vehicles, etc). Native herbs/ poultices/ medicines made of. Unique Chrome-alloy lined rifle barrels – the use of non-corrosive materials allow for a rifle to stay cleaner and more accurate for longer without heavy maintenance, especially in warmer, more humid conditions where rust forms more easily. Allows use of different types of ammunition that would cause the barrels of other weapons to deteriorate quickly. DDragonfire - Specially designed and hand crafted, packed with small amounts of combustible powder to leave a trail of flame behind the projectile. Due to the nature of the cartridge it requires a stronger, non-corrosive barrel otherwise it will cause the rifles condition to deteriorate much more quickly. Dragonfire mk1 acts purely as a tracer round as when fired a trail of fire follows the bullet, providing slight illumination before burning out, and allowing for shooters to adjust badly aimed shots more easily as they can follow their aim. Mk2 contains an explosive charge in the tip, which rapidly combusts at metal melting temperarures on contact. This allows higher penetration into metal surfaces, such as tanks and/or aircraft, and potentially life threatening burn injuries to those who are unfortunate to be stood too close. Primary Species: Human, couple Elven fortresses that mainly keep to themselves, and anyone who crosses into their borders and wishes to reside. Population: ~35,000,000 Human Citizens, with an unknown number of Elven neighbours (estimated at only a few thousand). The provinces of Endrea, Lutra and Yespium, the 3 states that form the mainland of Elyr, share very similar cultures, developed together through the last 900 years and along side each other before that. Generally a kind people who seek to help those in need when they can, sometimes even at the expense of themselves. Even enemy combatants would be rescued from the battlefield, healed and treated well until the end of the conflict. Architecture varies a little from province to province, with the majority of Endrean and Lutrian dwellings being well decorated, and framed with beautiful lengths of timber, whilst the dwellings of those of Yespium are well built and study - being built either out of quarried stone or burrowed directly into the mountain side itself; it is for this security that the current seat of Elyr is housed within the Yespium province. Rorik, the province which encompasses the two islands to the east, is rather unlike the rest of Elyr. Rorik has been slow to embrace new technologies, preferring to rely on traditional 'tried and true' methods of survival and as such no industry existed on the islands until very recently; tea plantations, fish farms and (recently) algae refining being the only industries that exist. These islands are home to fierce and proud people, willing to drop everything for the protection of the nation. Unlike the rest of the country however, they worship a seperate set of deities and their shamans burn offerings as an act of worship. Even in death, they burn the dead on funeral pyres as offerings for the gods so that their relatives can meet and serve their creators. These people have a natural affinity for the ocean, willing to serve the the nation as merchants and seafarers in the name of Elyr. Architecture here is limited, mainly relying on natural resources such as trees to built simple huts. Elyr possesses temples to many different Gods, and permits any form of worship within its borders due to the amount of refugees within seeking political asylum (such as Magi from anti-magic states). The native religion however is the belief in the "Tritheism of the Bodies", a belief of three deities creating the universe named Nithos, Ather, and Othea. Othea sacrificed her body and consciousness, forming the world. She is the Mother of all who walk upon her, and Goddess of the world and families. Nithos too gave up a solid, corporeal form all together, forming the gaseous sun in the sky. Out of love for his sister, he watches over her during the day, keeping her warm and allowing life to thrive. He is the God of love, light and life itself. Ather on the other hand waited, and watched his siblings in the coming years. He saw creatures come and go, always seeming so fleeting, he enjoyed watching the world at peace, but was saddened with the parting of every creature beneath his eye and his tears formed the oceans. Like his sister, he gave up his body, but wished to remain to watch life progress. He became known as the Night Watchman, the Harbinger of the Night, and for each child of his he sees pass on, he invites them to join him and lights a star in their name. He is viewed as the God of the Afterlife, and the Seas. Location/Territories: Southern area of eastern landmass, with two small islands off the south east of the mainland. Split into four provinces, each has it's own specialised are to which it has been suited to over the years. The westernmost province, spanning the plains, focuses on arable growth, with the city there focusing it's resources on export and import through their ports. The eastern province deals with the political aspect of the nation, hosting delegates of other nations and acting as the house where the parliament is held. In the north lies a city on the mouth of the river which engages in trade with their northern allies. The Imperial Academy, lying due north of the Imperial city itself. Limited quarrying, mining and refining facilities found here, along with smaller factories on the outskirts. The central province is the seat of the forestry at Elyr's heart, along with an important source of food hunted and sold by those in the Elven fortresses. 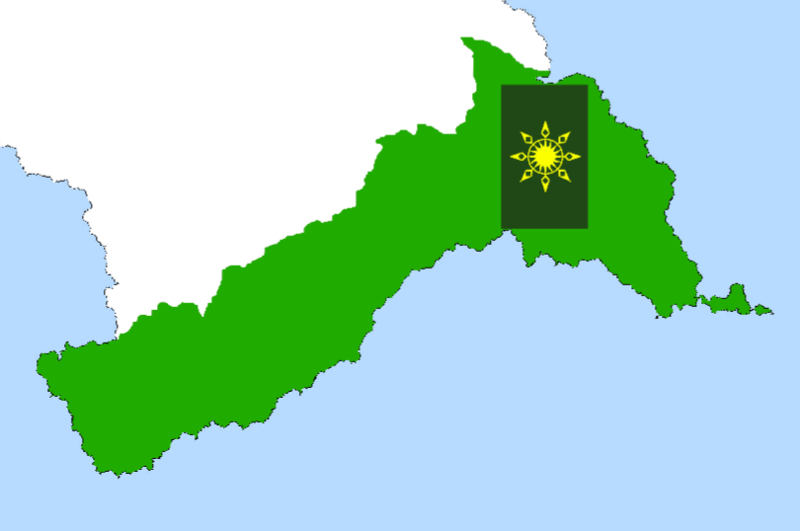 The Islands' province lies to the south east, on the opposite wide of the mountain range. Mainly independent from the rest of the nation, they grow exotic herbs, spices and tea for export. Climate: Temperate mainland with two subtropical islands. The military of Elyr focuses primarily on small units tactics, deterrence over defence, and the concept of 'Bitzkrieg' due to the limited military strength of the nation and the disastrous economic impact of a prolonged conflict. In aid of the concept of a quick campaign, the Kingdom has a small amount if allies, sympathisers and spies spread across various nations - their watchful eyes tracking the movements of threats. In peace time, there are very few actual soldiers, just enough to keep watch upon the northern border and defend political officials (both domestic and visiting foreign delegates). Because of this, Elyr relies largely on a big reservist force, however prolonged conflict would have damaging effects to the economy due to amount of citizens pulled from their normal jobs and into military service. When war does come, the country reacts swiftly and aims to remove the threat quick and effectively; through well thought out operations and superior infantry attacks. On the offensive the main aims are to strike fast, taken strategic targets sequentially without stopping and allowing enemy forces to plan and reinforce the next position in the 'line of fire'. On the defensive however they rely on knowledge of their home turf, and make use of guerrilla tactics to overwhelm and confuse enemy combatants, scaremongering to weaken then enemy moral. Weapon wise Elyr has in its possession a collection of small arms, ranging from select fire pistol-carbines and rifles, accurate light machine capable of extended fire, and a series of anti-tank rifles. With the vast majority of these weapons designed ‘in-house', repairs and replacements are quick to reach the frontlines where they are needed, and with most using proprietary cartridges it makes it difficult for invading forces to use Elyrish weaponry again them. Light machine guns are rarely seen upon the frontlines, reserved mainly for defensive positions and encampments. Fulfilling the role of of sustained fire on the frontlines are normal infantry rifles constructed with more dense and thicker metal barrels and extended magazines to allow for extended periods of fire. Positioned in strategic areas around the country, many casemates containing artillery pieces also line the mountains and hills surrounding the capital city, maintained and kept well stocked with replies in order to be able to respond to threats. These however are mostly imported, however often adapted and rechambered for ammunition easily available for the Elyrish to produce. Along with this Elyr imports all but the most basic of aircraft and vehicles from other nations, with poorly designed and built MoW's forming the majority of their armoured cavalry and airforce. Whilst mainly serving in auxiliary roles such as field doctors and nurses, there are a fair number of mages who are willing to take to the front lines and fight offensively with their brothers, and combat medics to accompany them onto the battlefield. 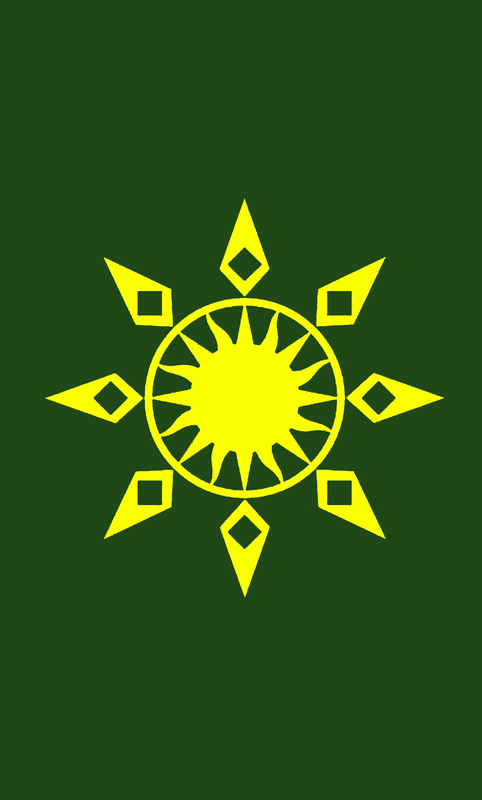 Unlike some nearby nations, Elry has made an effort to incorporate magical talents into their military, each unit trained slightly differently according to the skills of their magi-in-arms. - Accurate, good old fashioned bolt action rifles. Many years out of production, mainly used as a training tool to teach younger soldiers how to shoot accurately and take their time with each shot. Enough of these exist as wall hangers to be emergency weapons, and are easy enough for anyone to use. Internal 10 round magazine, fed with stripper clips. Chambered in 7.62 Elyr. - Select-fire conversion of the old M98 bolt action rifles, using a different housing however. Using a cam connected to a gas piston to automarically cycle the bolt after each shot. Using this operation method, the rifle can fire at roughly 600 rounds per minute in automatic. In battle this rifle functions as both a precision rifle, accurate over long distances and also, to a lesser extent, a light machine gun - acting much more portable and manoeuvrable than the latter. When used in an light machine gun role, squad rotates the rifle in use between available weaponry to prevent heat build up. Issued with 4 magazines (25 rounds each). All rifles of this model feature a magazine cut off to allow dragonfire or blank cartridges to be loaded individually instead of having to have a dedicated magazine for each. - Exactly the same as the base rifle, except with the addition of a 'spigot' rifle grenade mount attached to the muzzle of the barrel. When used in combination with blank ammunition, the grenade is projected towards enemy encampments before exploding on impact. Features a grenade sight on the left side of the rifle which the infantry man uses to aim towards enemy positions. Issued with 4 standard magazines, along with 7 rifle grenades. - Almost exactly the same as the base M35 Automatic Rifle, however featuring a heavier, 'finned' barrel to increase surface area and cool down. Each squad is issued at least one of these rifles to use when prolonged firepower is necessary. Comes with an extended magazine, however is also interchangable with regular magazines in a pinch. Issued with 2 extended magazines (40 rounds) and 2 standard magazines (25 rounds). - Standard sidearm of the Elyrian military. Like the M33S RP the S* features a detachable stock, used to increase controlability whilst firing, and also possesses a selectable firing mode incorporated into the stock. While less effective than an ordinary submachine gun, the M33S* functions well enough in both is role as a sidearm and as a close quarters 'spray and pray' weapon when paired with it's 50 round drum magazine. Issued with two standard 10 round box magazines, three 50 round drum magazines, and the military style stock (compatible with only the S*). Fires at roughly 500 rounds per minute. Chambered in 10mm Elyr. ^Model of 1918 Marksman Rifle. - The M-18 makes up the primary force behind Elyrian sniper forces. 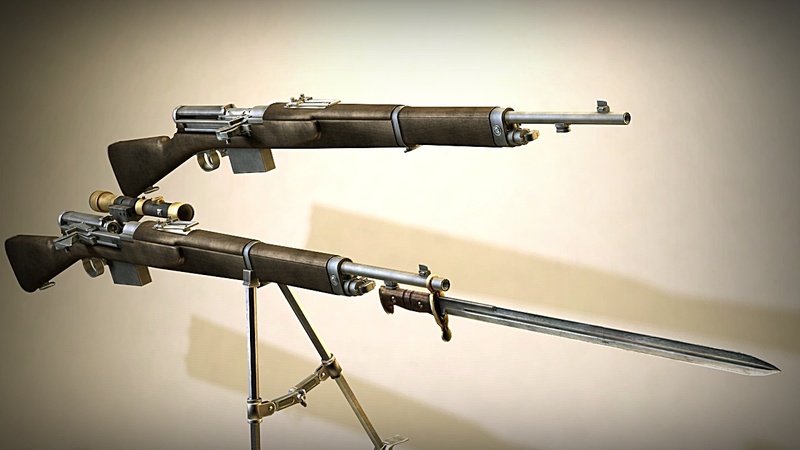 Built originally as a semi-automatic rifle, with a 'fall back' manual bolt in case of carbon build up or other faults with the piston mechanism; the Elyrian army use them slightly differently, with the bolt action firing mode intended for sniping, and the semi-automatic firing mode intended for personal defense during repositioning or extraction. Issued both with and without optics, due to the initial struggle in developing side mounted optics that didn't fall out of zero when fired. Features a magazine cut off to allow single feeding of ammunition and is issued with one 20 round box magazine and a two 10 round magazines. Chambered in 7.62 Elyr. - Semi automatic locked version of the M-35, with stricter tolerances on components to boost accuracy. Issued with smaller 10 round magazines and a foregrip with a shallower angle to allow more comfort when firing in the prone positions. Features magazine cut off and is issued with 3 magazines. - Internally suppressed, the M-37 is a short carbine issued to special forces of Elyr. Using the same subsonic 10mm ammunition as the M-33 pistols. Extremely quiet compared to other rifles, silent at distances of 50 meters, and effective at ranges up to 20 hundred meters. Folding stock allows for hire portability and allows easier concealment by special forces. Following the development of the current battle tactics of Elyr, which rely on swift movements to overpower and out-manoeuvre your enemy, it was realised that standard anti-tank and anti-air pieces were commonly slow to move. Using the adapted chassis of a cargo hauler, the Elyrian military mounted an 88mm aa/at weapon onto the back, and added retractable stabilisation legs on each side to help prevent the truck tipping on firing. The gun is extremely effective, served by a 6 man crew, not including a driver, and can penetrate up to 118mm of armour at 1000 meters with APCBC ammunition, with access to a HEI shell for more exposed targets, e.g. open top vehicles, zeplins, bunkers, etc. Magic Prevalence/Usage: Magic is a fairly common day to day occurrence in Elyr, with an estimated 9% of it's native population having access some sort of magical potential. Magisters are required to be enrolled into the Imperial Academy of Magical Arts to be taught control of their abilities (in order to protect themselves and those around them from harm), and encouraged into fields befitting their skills/ that most benefit Elyr. The Imperial Academy is sited in the Eastern province, a stones throw north from the capital city which lies nestled in the foot of the mountain range. A beautiful stone building, with magnificent coloured glass stands alone in the forest, with large grounds mostly cleared of trees within its walls. Built with magically reinforced stone, it can withstand all but the most explosive catastrophe, and is the safest place in the country, if not the continent, for a young mage to learn self control, and be taught the necessary skills in order to get through life. Post education, students are encouraged to join professions to help the advancement of Elyr, such as medicine, research or the military; however they are not forced into a life they don't wish to live amd are permitted to return home if they wish once they have completed their training. Over 900 years ago, Elyr lied as four seperate states, each with varying degrees of economic success and military strength. None however, could match the strength of Endrea, the westernmost province of modern day Elyr, led by King Talsnnir. Over a series of campaigns, drawn out over 4 years of conquest, the forces of Endrea conquered the southern portion of the continent, from the eastern shores of Endrea itself to the western shores of the Isles of th Rorik people. With each piece of land he gained control of he forced the lords either pledging their allegiances to him, or be replaced and be given the opportunity to run. Despite growing on in years, the king still saw fit to wage war upon nearby nations, soon turning his eyes northward, towards the nation of [redacted] and their rich arable land; arable land being something much needed during to the denser forests that then existed. Talsnnir himself met his fate on the battlefield, fighting for the country he fought hard to create and maintain; his last breath spent on a prayer to Ather for a safe journey to the stars. With no King the offensive was deserted, soldiers returning to their homes, leaving the Queen and the King's son to sign a peace treaty, commonly referred to as the 'Treaty of the Lands', which agreed that [redacted] would not invade the Kingdom of Elyr in exchange for some of the little arable land that Elyr had in the north, and control of the northern bank of the Grey Beck. It was this defeat, and realisation of Elyr's natural disadvantage in the way of infantry numbers that the Crown later created an official military force for Elyr relying on career soldiers rather than whatever militia could be whipped up in the moment, and as such allowed the country to truly train and prepare for warfare, mainly utilising what came to be known as small unit tactics and 'lightning war'. 1349, Treaties of the Arbori' was signed as a pact between the Crown and the Elven strongholds. It acted both as a mutual defense agreement, from both internal and external threats, and the beginnings of trade relations between the isolated city states and Elyr. Years turned over, monarchs died (or killed) and were replaced. In the year 1476 Thonjolf the 1st of Elyr was overthrown by the peasantry (with some disguised support from disgruntled nobles) after a bout of poor decisions which led to a series of deaths, monetary loss and high taxation rates. The peasants managed to get to the King, depose (and later, dispose) of him and replace him with his young daughter Minnette who officially acted as head of state, but effectively had her decisions controlled by other 'more experienced' lords and forced to sign the "Charter of Rights" which restricted the Monarchy's power and forced them to have a panel of the elected to act as advisors. When the age of industrialisation came however, Elyr was rather behind economically. After putting down a civil war, few men were in fit state to work in factories, and the Crown in even less of a state to finance the advancement of the narion. So to begin with it started small; a factory here, a factory there, slowly growing up the infrastructure as and when it was afforded. A high priority remained on the production of weapons and equipment of war, as the Crown was paranoid of being colonised or invaded. 1840, the Crown realised the growing issue of 'magi related incidents', forming the Imperial Academy of Magical Arts in order to combat and control this growing danger. Mandatory for all magi-in-residence to attend, it taught self discipline and control to the students; fostering an atmosphere of nurturing and giving the students the ability to grow in both magical prowess and in themselves. When the 'Fire Mountain' erupted, the state was unprepared to deal with the aftermath. With many seasons of crops failing, combined with the small amount of arable land actually available, Queen Bree the Second of Elyr entered into emergency agreements with the Elves for the 'import' of fresh meats for her people and requested research done into alternative food sources and found that sea algae and sea weed could be refined using age old methods from the Rorik tribals to form nutritious and filling meals. Dragonfire – Specially designed and hand loaded cartidges with small explosive charges, some types of rifle and pistol ammunition have the ability to combust to metal-melting temperature on contact. Allows for higher penetration of mechanised vehicles and airships/planes, and devastating, potentially life ending injuries to those standing too close. removed as I mistakenly posted it in the wrong section. This seems kinda interesting! Never tried this type of roleplay before (contrary to what it appears, am a previous member returning from a six month hiatus as college got busy), but sure am interested to give it a go. Whilst I spend a couple days putting together a 'character' sheet, could I possibly reserve the small islands to the south east of the Eastern continent, the mountains to the west of it, the forested area and a small amount of plains to allow for a small amount of arable farming please?